Mexico City is one of Latin America’s thriving hubs for the marketing industry, home to both small boutique agencies and satellite offices of global holdings. For the past two weeks, I have been in the city doing research on consumer segmentation in its advertising and consumer research industries. Thus far, it has been a rich field site for examining this topic. Through conducting interviews with advertising executives and consumer researchers, I want to understand how knowledge about Mexican consumers is produced in the professional discourse of these industries. I’m also looking to gain insight into the historical, social and cultural context within which marketing professionals produce this knowledge, and the ways in which they put it into practice in consumer research literature and advertising strategy. Consumer segmentation is a core principle of marketing. In this practice, marketers divide consumers into sub-segments according to traits, behaviors, interests or identities that they ostensibly have in common. When a brand wants to develop an advertising campaign for something, they work with professionals at advertising agencies known as Planners to develop a detailed profile of the target segment they envision purchasing their good or identifying with their brand. Once the target segment is chosen, Planners use quantitative and qualitative research data produced by consumer research companies to flesh out the profile of this segment and develop a unique advertising strategy for them. I’m interested in ethnographically studying consumer segmentation practices because it is one of the main arenas where ideas about personhood are produced, discussed, and analyzed at length in corporate settings and for profit. I think that consumer segmentation models can shed light on the social identity categories that are given primacy in a particular society. In our globalized consumer capitalist culture, I think it is crucial to examine the types of knowledge that marketers produce about people, and see if and how these ideas shape what it means to be a human being in contemporary life. My PhD research broadly focuses on how race and ethnicity are used for consumer segmentation in the United States. Otherwise known multicultural marketing, this particular industry practice prioritizes race and ethnicity as the primary social identity category through which consumer behavior is mediated and culture is expressed. I’m particularly interested in looking at the ways in which consumer research about multicultural markets reproduces, manipulates and maintains the boundaries of ethnic and racial categories in the United States. I’m in Mexico to see how social identity categories are incorporated into the nation’s consumer segmentation paradigm as a point of comparison for my research in the US. When preparing for my trip, I designed my research questions primarily around the use of race and ethnicity, but what I’ve learned thus far from my interviews is that socioeconomic class of the household or los niveles socioeconómicos are the main mode of segmenting Mexican consumers. With this model, each socioeconomic level has its own corresponding letter (A for the most wealthy and E for the poorest) and specific demographic characteristics relating to financial security, education level, disposable income, sanitary conditions, and even the amount of light fixtures and physical amount of space in the home. Marketers in Mexico postulate that these factors are connected to the rationale and motivations for why and how consumers purchase goods. 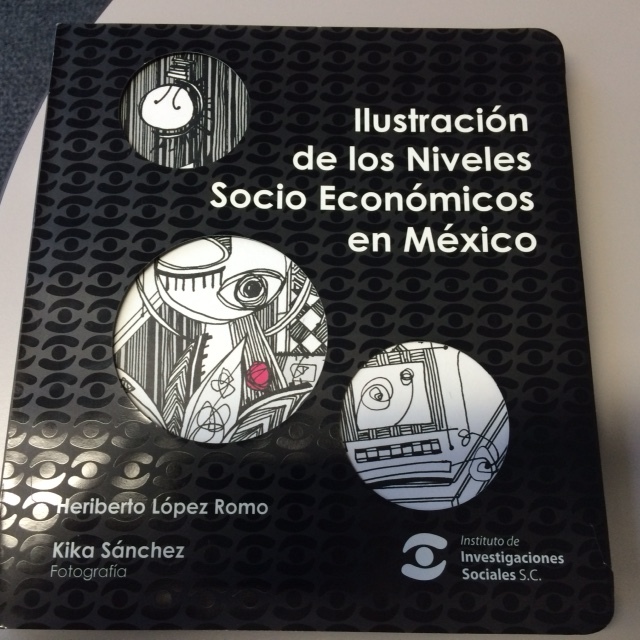 As my research develops, I’m interested in further exploring how los niveles socioeconómicos developed, the historical and sociocultural context of their relevance in Mexico specifically, and the ways in which they are implemented to consumer segmentation, particularly as it relates to notions about people’s attitudes, cultures and behaviors. I’m also interested in exploring further how the racial politics of Mexico shape consumer segmentation, in spite of the fact that they are not explicitly discussed. This entry was posted in NACLA/CLACS, Recent Research and tagged anthropology, Mexico. Bookmark the permalink.